#IWSG May: What would you do? 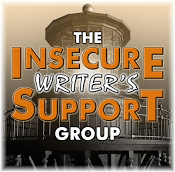 It’s the first Wednesday of the month already, and time to share our hopes, dreams and fears with the Insecure Writers Support Group, the brainchild of Ninja Captain Alex J. Cavanaugh, and this month’s hosts are; E.M.A. Timar, J. Q. Rose, C.Lee McKenzie, and Raimey Gallant! This month I’m having a bit of a whinge, an is it just me? moment. I did hesitate for a while, just in case of the outside chance of the person concerned reading this and starting some kind of flame-war. But, in retrospect, I doubt it as I’m not very important in the big scheme of things, and (if you are reading this – I meant it in the nicest possible way). I read this really good book. I loved it. But it was marred by a LOT of typo’s. Not just one or two, but LOTS. Not only that, there were some missing lines of dialogue too, where you realise that a line has been skipped and you only get the end of a comment. Again, this happened a few times. Fortunately it wasn’t enough that I missed the context, but still, it threw me out of the story each time. Now, I could have ignored it. But it was such a good book that I felt it was a crime to do so. I could have written a review on Amazon and mentioned it there, but I felt that was unfair to the author – could result in lost sales when all they needed was a heads up that it needed correcting. So, I contacted them instead. Unfortunately, as I also follow them on social media I caught their complaint about people who read their books and only feedback that there’s a typo on page 86. Now I feel a bit pissy about the whole thing. As writers, how would you feel about this? Should I keep my mouth shut in future? This entry was posted in IWSG. Bookmark the permalink. 16 Responses to #IWSG May: What would you do? I’ve had readers contact me about a mistake and I was grateful for it. I’d rather know and fix it than not know and it annoys other readers. If you told that person how much you enjoyed it but there were typos, it’s his problem if he reacted that way, not yours. I would think that an author would appreciate the direct contact instead of having it mentioned in a public review. I’d be very grateful is someone contacted me about typos, errors in my book. And I think contacting them directly is a great way to go about it. Odd. When I read a book for review (years ago) and gave them a list of all the errors I found, they jumped all over it and fixed their ebook within days. Amazon has been known to suspend sales until badly proofread book has corrected all the errors. I second the being grateful. Personally, I’d rather know–unless the publisher is unwilling to let me update the book. Then I’d rather not know. LOL. You did the correct thing by reaching out in private. Them taking the complaint public was in bad form. Typos happen, most time they are minor, one or two (been there done that) but in the case you described, it was a bigger problem and unfortunately the author didn’t want to listen. That’s a case of it being them, not you. If it had LOTs they should have been grateful, especially since you were private about it. Happy IWSG day. Personally, I think it gets down to how well you know the person, and how professional you expect their response to be. I’d **definitely** tell someone I knew from Holly’s, but I might not tell someone I just know from Twitter or other social media. And I’m always cautious about giving beta style feedback for an already-published work. After all, that’s something the person has already declared “good enough” and fixing the problem goes well beyond changing the manuscript. I appreciate feedback, but I realistically know that not all authors will be good at receiving it. It’s too bad that when people like you do the right thing, some people aren’t in a place where they can be grateful or open. I’ve had the same struggle after reading a poorly edited book. If it’s a trad pubbed book, I doubt the author can get the publisher to correct the mistakes–shouldn’t the editor find them in the first place? If it is self pubbed, the author can make the changes in the digital copy. If the author is a friend, I would tell her about the numerous errors. If I don’t know the author, then I’d let it go, but personally I’d appreciate knowing where those pesky typos,etc. You see, I would want to know that I missed a mistake so I could fix it. You need to do what feels right to you in a gentle way. More power to you. Wow. I’m a little shocked that the writer would respond like s/he did. I think you did the right thing. I would want to know without killing sales. And I have definitely read things where the mistakes distract. *sigh* At least you gave the author a chance to correct? Authors, like most artists, are famously thin-skinned—and it’s something we need to work on. Like, seriously. How is anyone going to improve any skill without feedback or guidance, let alone one that relies so, so much on others deriving some form of pleasure from it? Of course you did the right thing. His/her loss for being petty and childish. Do not, I repeat, do NOT let this get to you. Have a laugh about it, at their expense, and send out a wish to the universe that they may one day gain the wisdom to appreciate when others are trying to help.